From Hisui hyakkafu (非水百花譜) – Hisui’s album of 100 flowers, published by Shun’yodo in 1930. Paper size: 30,2 x 46,2 cm. 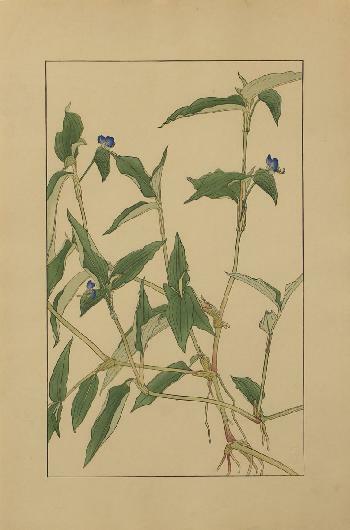 The print is accompanied by a “shadow print” of the same plant (see detail 1) plus a (non-woodblock) print describing the plant, with photos and drawings added.